The ancient art of archery is an individual or team sport traditionally played by shooting arrows at a point-based target. There are almost 150 archery governing bodies across the world, the largest of which are in Europe and Asia. A target archery competition involves shooting at a ten ring target. Each ring is worth a different pointed value depending on how close to the centre it is – with the outermost ring worth one point and the central ring worth ten points. An archery target involves five different colours with an ‘outer’ and ‘inner’ ring of each colour. The five colours are white, black, blue, red, and gold – with inner gold being worth the most points. In a team game, members of the same team take it in turns to shoot, with their points cumulated to make a team total. The team with the most points at the end of the game wins. Archery made its debut at the Olympic Games in 1900. It has been a permanent fixture in the Games since 1972 where it returned after more than a 50 year absence. The most successful nation has been South Korea, with 39 medals, 23 of them gold. Team GB are fifth on the list of the most successful Olympic nations, winning nine medals, although they are some way behind France in fourth place who have 24. The United States and Belgium are the other nations above us. Paralympics GB has won 60 medals since the sport debuted in 1960, 18 more than any other country, although the United States have won 18 gold medals, compared to the 17 won by GB. Hubert Van Innis – the Belgian archer is 34th on the list of the most successful ever Olympians, having won nine medals at the start of the 20th century, six of them gold. Van Innis won six of his medals in his home country during the 1920 Games in Antwerp, taking three individual and three team medals. Margaret Harriman – the British born athlete represented Rhodesia and later South Africa at the Paralympics across more than 35 years, between 1960 and 1996. In that time she won medals in four sports, which included an impressive seven gold medals in archery, the last of which came in 1972. She may have been even more successful were it not for South Africa’s Olympic ban. 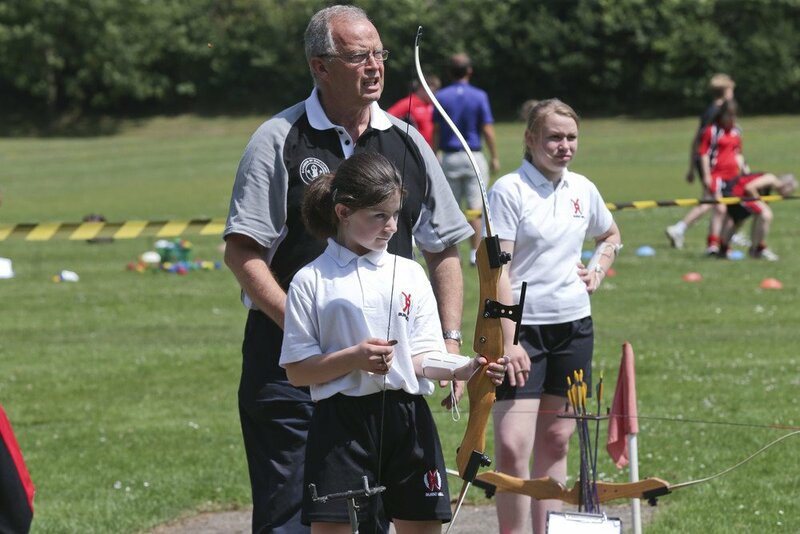 Archery Great Britain – please click here for more information. In order for a competition to be considered part of a School Games provision, it must follow a School Games format. All School Games registered users have access to our sport formats and can access the formats for this sport by clicking the button below. Alternatively, you can download the full Archery format pack by clicking here.